An actuator functioning as the final control element that applies a corrective effort to the process per the controller's instructions. In a closed-loop control system, information flows around a feedback loop from the process to the sensor to the transmitter to the controller to the actuator and back to the process. This measure-decide-actuate sequence-known as closed-loop control-repeats as often as necessary until the desired process condition is achieved. Familiar examples include using a thermostat controlling a furnace to maintain the temperature in a room or cruise control to maintain the speed of a car. But not all automatic control operations require feedback. A much larger class of control commands can be executed in an open-loop configuration without confirmation or further adjustment. Open-loop control is sufficient for predictable operations such as opening a door, starting a motor, or turning off a pump. Continuing the analysis, it is clear that all closed-loop operations are not alike. For a continuous process, a feedback loop attempts to maintain a process variable (or controlled variable) at a desired value known as the setpoint. The controller subtracts the latest measurement of the process variable from the setpoint to generate an error signal. The magnitude and duration of the error signal then determines the value of the controller's output or manipulated variable which in turn dictates the corrective efforts applied by the actuator. For example, a car equipped with a cruise control uses a speedometer to measure and maintain the car's speed. If the car is traveling too slowly, the controller instructs the accelerator to feed more fuel to the engine. If the car is traveling too quickly, the controller lets up on the accelerator. The car is the process, the speedometer is the sensor, and the accelerator is the actuator. The car's speed is the process variable. Other common process variables include temperatures, pressures, flow rates, and tank levels. These are all quantities that can vary constantly and can be measured at any time. Common actuators for manipulating such conditions include heating elements, valves, and dampers. For a discrete process, the variable of interest is measured only when a triggering event occurs, and the measure-decide-actuate sequence is typically executed just once for each event. For example, the human controller driving the car uses her eyes to measure ambient light levels at the beginning of each trip. If she decides that it's too dark to see well, she turns on the car's lights. No further adjustment is required until the next triggering event such as the end of the trip. Feedback loops for discrete processes are generally much simpler than continuous control loops since discrete processes do not involve as much inertia. The driver controlling the car gets instantaneous results after turning on the lights, whereas the cruise control sees much more gradual results as the car slowly speeds up or slows down. Inertia tends to complicate the design of a continuous control loop since a continuous controller typically needs to make a series of decisions before the results of its earlier efforts are completely evident. It has to anticipate the cumulative effects of its recent corrective efforts and plan future efforts accordingly. Waiting to see how each one turns out before trying another simply takes too long. Open-loop controllers do not use feedback per se. They apply a single control effort when so commanded and assume that the desired results will be achieved. 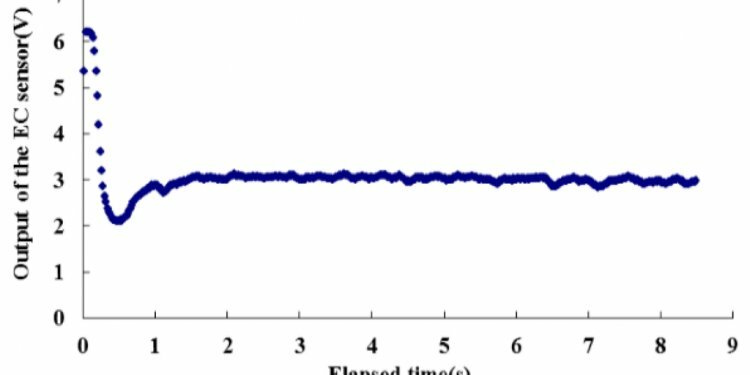 An open-loop controller may still measure the results of its commands: Did the door actually open? Did the motor actually start? Is the pump actually off? Generally, these actions are for safety considerations rather than as part of the control sequence. Even closed-loop feedback controllers must operate in an open-loop mode on occasion. A sensor may fail to generate the feedback signal or an operator may take over the feedback operation in order to manipulate the controller's output manually. Operator intervention is generally required when a feedback controller proves unable to maintain stable closed-loop control. For example, a particularly aggressive pressure controller may overcompensate for a drop in line pressure. If the controller then overcompensates for its overcompensation, the pressure may end up lower than before, then higher, then even lower, then even higher, etc. The simplest way to terminate such unstable oscillations is to break the loop and regain control manually. There are also many applications where experienced operators can make manual corrections faster than a feedback controller can. Using their knowledge of the process' past behavior, operators can manipulate the process inputs now to achieve the desired output values later. A feedback controller, on the other hand, must wait until the effects of its latest efforts are measurable before it can decide on the next appropriate control action. Predictable processes with longtime constants or excessive dead time are particularly suited for open-loop manual control. The principal drawback of open-loop control is a loss of accuracy. Without feedback, there is no guarantee that the control efforts applied to the process will actually have the desired effect. If speed and accuracy are both required, open-loop and closed-loop control can be applied simultaneously using a feedforward strategy. A feedforward controller uses a mathematical model of the process to make its initial control moves like an experienced operator would. It then measures the results of its open-loop efforts and makes additional corrections as necessary like a traditional feedback controller. Feedforward is particularly useful when sensors are available to measure an impending disturbance before it hits the process. If its future effects on the process can be accurately predicted with the process model, the controller can take preemptive actions to counteract the disturbance as it occurs.